Will you be visiting Queensland? Airlie Beach is the best destination to stay and this resort will give you the perfect place to stay. 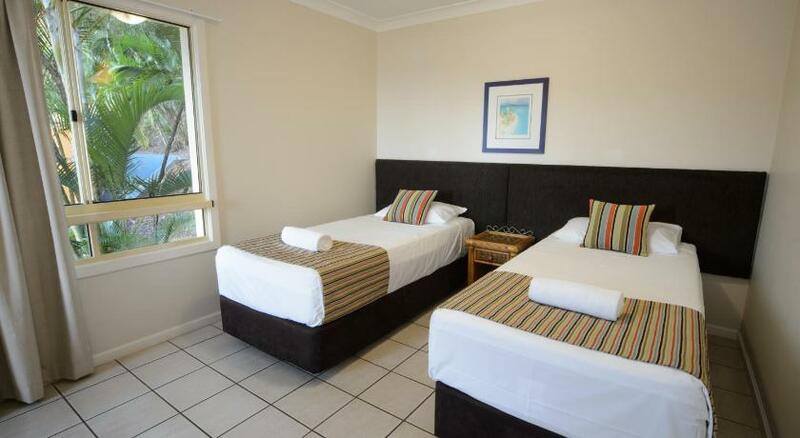 Resort Martinique Whitsunday is economical accommodation that is the perfect for your accommodation needs. With apartments boasting private balconies that provide panoramic ocean views of Airlie Beach and the Whitsundays, the Martinique Whitsunday is a French Caribbean-style resort. In tropical gardens, guests can enjoy a 50 feet (66-foot) infinity swimming pool with a heated spa. Each apartment boasts a full kitchen and laundry facilities. Each has a lounge area boasting a large flat-screen Television with cable channels and a DVD player. Wi-Fi is available in all public areas of the property and in some rooms. Guests can enjoy an outdoor meal in the shaded BBQ area. The Martinique Whitsunday Resort is just a 3-min stroll from the center of Airlie Beach, and provides easy access to the Whitsunday Islands and the Great Barrier Reef. This property has been online since Aug 5, 2010.